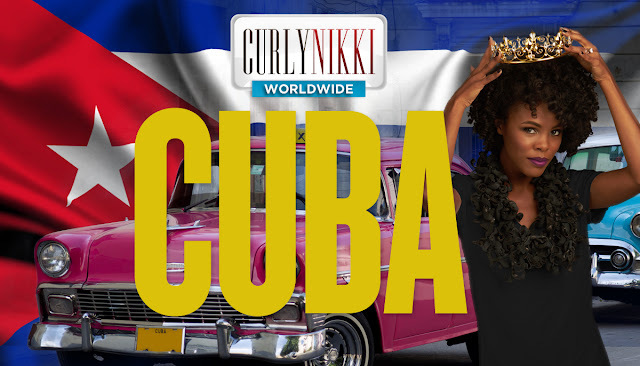 One of the most frequently asked questions from women embarking on their natural hair journey has to be “What is my curl type?” but, there are so many things to know about natural hair besides the common letter and number 3c/4a, etc. Aside from wondering why their natural hair is so dry…wanting to know their curl pattern and type is usually the burning question. Unfortunately, this often boxes women into a category and sadly sets the stage for curl discrimination – yes there is such a thing. On the one hand, I strongly believe in identifying a curl type and pattern. This allows you to relate to other hair bloggers and vloggers and draw inspiration for styling as well as get insight on new products to try. 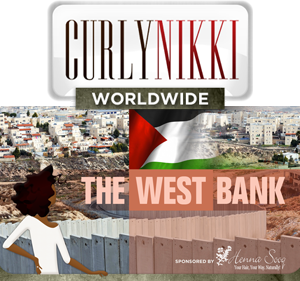 However, our curls are more than just a number and letter. 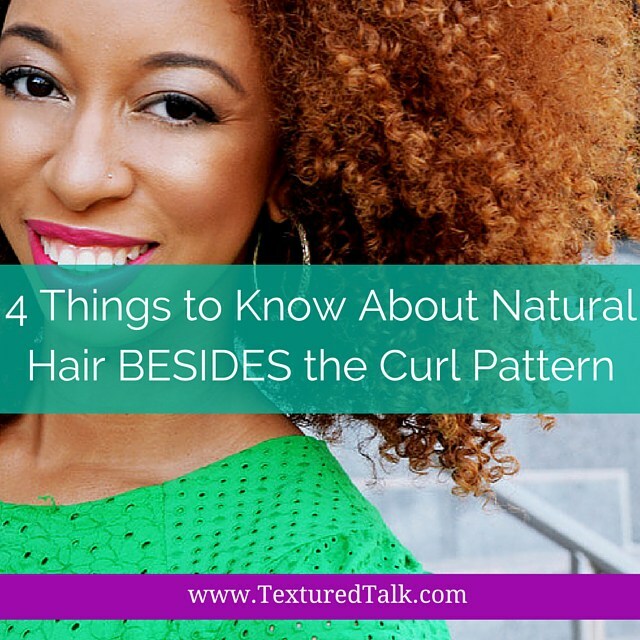 Here are 4 things to know about natural hair besides the curl pattern. Texture describes the width of each individual strand of hair you have. Hair textures are classified 3 ways: Fine, medium or thick. You’ll often find people refer to thick hair as coarse. Because fine textures are delicate this texture is also more prone to breakage. This is especially true if you manipulate often such as constantly twisting, braiding, touching etc. I am an actual victim of this! Thicker textures where the width of your strand is larger is often stronger and can sustain more manipulation without as much damage. Understanding your texture will help in re-evaluating your common hair regimen, better help you understand which products to purchase and also which natural oils work best for your texture. Density relates to how many individual strands of hair you have in total. An easy way to think of this is how many strands you have per square inch. Extremely dense hair can easily achieve big voluminous styles simply because the hair is more compact per square inch. Ever wonder why that one amazing blogger’s twist-out or wash and go is so popping but your results were just so-so? Here’s the catch….you guys could both have the same hair type number (3c/4b) however; the density could be dramatically different. As a result, the same style will look differently on both of you. For low-density hair, try fluff your curls more at the root for volume. Also, use lightweight products like serums and gel-like products to define your curls so it doesn’t weigh your hair down. Porosity describes your hair’s ability to absorb moisture. I strongly believe this is one of the most important things to know about your natural hair. The 3 types of porosity levels are low, normal, & high. Low porosity hair is harder for moisture to enter; however once the strands are fully moisturized, the moisture is locked in tight. High porosity hair absorbs moisture quickly but can also lose moisture just as fast. Once you understand the porosity of your hair a whole new world of caring for your natural curls well emerge. Correctly sealing moisture for your porosity level will lead to more moisturized hair over time, length retention and growth. Ask yourself: does my hair need light oils or heavy butters to seal in the moisture? Elasticity measures the “stretchiness” of your hair. If your hair has a hard time stretching when wet and does not return to its natural state after pulling, your hair more than likely has low elasticity. Low elasticity also will result in increased breakage because the hair is so fragile. Research shows elasticity cannot exist when there is an imbalance of moisture and protein. For low elasticity, hair search key protein ingredients in your hair care products for strengthening. However, if you have a protein overload opt for more moisturizing conditioners to maintain the balance. 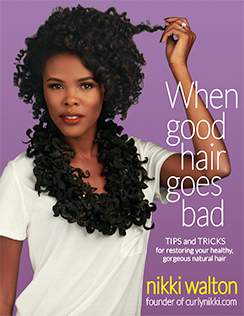 What are the key things to know about your natural hair that has helped you along your journey? Comment and let me know!